Thousands of children have returned to school for the new academic year to new-look menus. A range of healthier, more sustainable meat-free menu options have been introduced as part of the new School Plates programme launched by food awareness organisation ProVeg UK earlier this summer. A total of 110 primary schools across two local authorities in England have been working on new menus in collaboration with ProVeg UK ahead of their launch this term. Changes include the adoption of Meat-Free Mondays, new daily meat-free meals, and new descriptions for the meat-free and plant-based dishes to make them even more appealing to the students. “We all want children to thrive and these new-look, healthier menus are a big step in the right direction. Eating more plant-based foods is such a great way to improve children’s health in the short term – particularly by helping to reduce childhood obesity – and also in the long term by helping to reduce the risk of all kinds of chronic health conditions including heart disease and type 2 diabetes,” said Jimmy Pierson, Director of ProVeg UK. “It’s so important that children establish healthy eating patterns at an early age – and schools play a key role in this. The fact that plant-based foods are better for the environment and are also cheaper, meaning they can ease the burden on the school budget, makes them a win-win in our minds – and those of a growing number of local authorities!” Pierson added. Over the next 12-month period, around 3.1 million meat-based meals will now become meat-free – based on commitments from the schools and local authorities currently engaging with School Plates. This is despite ProVeg UK’s programme having only been running for a few months. Many more local authorities and primary schools are set to follow suit next term with new enquiries coming in on a weekly basis. As each new local authority takes up the School Plates programme, millions more meals are changed giving more children access to a healthier, more balanced diet. “We are thrilled with the level of interest and engagement so far, and it just goes to show that there is real appetite for improving the meal provision within schools. 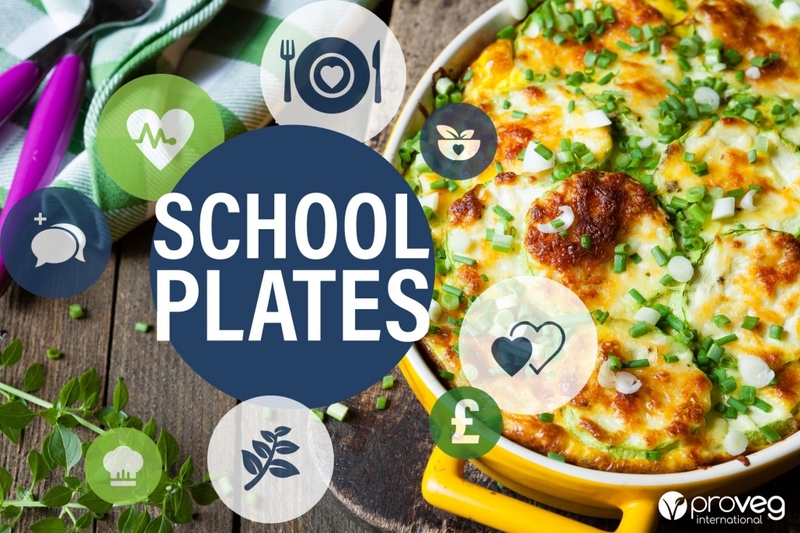 When it comes to improving children’s health, helping the planet and saving money all at the same time, there is no better time than now,” said Amy Odene, School Plates Manager for ProVeg UK. ProVeg UK is currently accepting more local authorities and catering companies interested in taking part in the School Plates programme. Please contact schools@proveg.com for more information and to get involved.